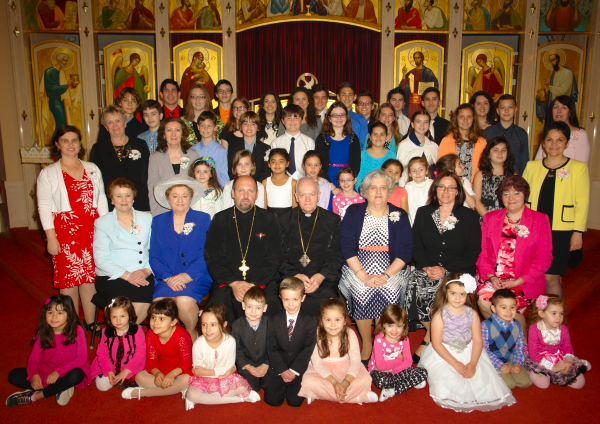 One of the most important and delicate roles the Church has is to educate the children in their Orthodox Faith. Sunday School for children in Preschool through 11th grade is held every Sunday morning starting at 9:45am (September through May) unless otherwise noted. A group of dedicated teachers volunteer their time and talents (and a bit of patience too) so that each child has the opportunity to grow spiritually as a child of God. This, however, can only be accomplished with the cooperation and encouragement of the parents. Parents, please bring your children regularly and on time! Participation is free of charge and all children are welcome!